Custom Bellows has achieved over 100 years of ground breaking work within the photographic industry. Building on this vast experience, we have extended our range of bellows to encompass applications within the scientific, industrial and I.T. industries. We offer consultation, design and high-quality manufacture of bellows, we can guarantee to make bellows to virtually any individual requirement. 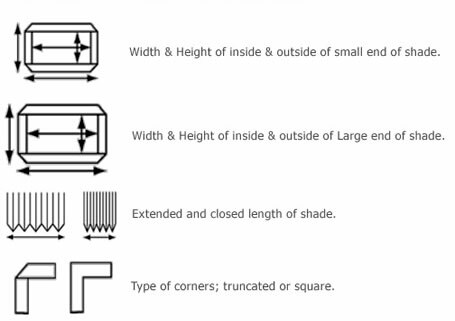 Below is a guide to the type of information that we will require for custom orders..
• The application for the shade/bellows. • The manufacturer of the equipment that the shade will be attached to. • The shape of the shade; tapered, square, parallel, rectangular. • Any additional information that you feel is important.